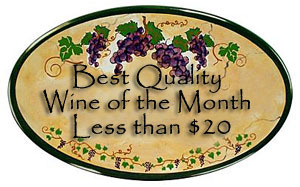 Synopsis, Our Opinion: A “No Question” four-thumbs up red Burgundy at this price point. 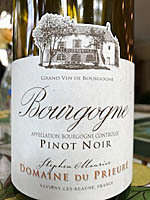 Producer/Winery: Stephen Maurice; Domaine du Prieure; Savigny-Les-Beaune, France. 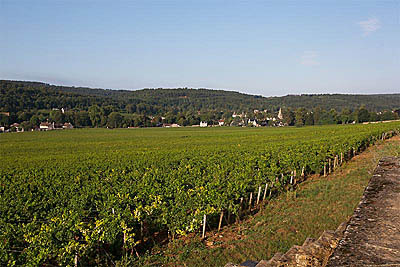 Geographic Appellation,, Region, Country: Bourgogne; burgundy, France. Paired With: Roasted pork loin with Madeira wine sauce, Yukon Gold roasted potatoes and Zucchini fritters. Opened 90-minuets before drinking. Clear, light ruby color with a light pink rim. Aromas of fresh baked bread, cherry, strawberry, Iris flowers and interesting hints of clove, fresh rose hips and damp earth. Smooth, rich, medium body and a 200-grit texture. Robust red fruit flavors including ripe raspberry, cranberry, cherry and earthy mushrooms, pronounced lively acidity and very fine grained tannins that had just a hint of grip in the medium length juicy fruit finish. 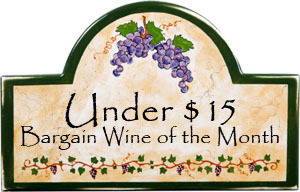 WOW, a good red Burgundy at only $16…NOW THAT’S A BARGAIN WINE!!! Great with the pork and great sipping after the dinner, simply put it was a very easy drinking wine. A “No Question” four-thumbs up red Burgundy at this price point. Photo from Domaine Du Prieure. Comments: Learn more about Domaine Du Prieure and their wines. Imported by: Chloe Wines; Seattle, Washington.